R.E. 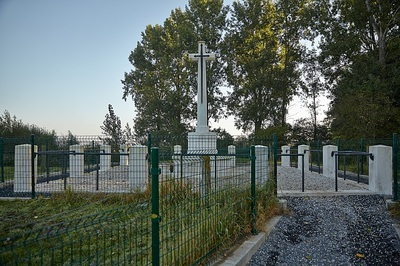 Grave, Railway Wood is located on the Oude Kortrijkstraat 4 Kms east of Ieper town centre, on a road leading from the Meenseweg (N8), connecting Ieper to Menen. 3 Kms along the Meenseweg lies the left hand turning onto the Begijnenbosstraat. 1 Km along the Begijnenbosstraat is the right hand turning onto Oude Kortrijkstraat. The cemetery itself is located 500 metres along the Oude Kortrijkstraat on the right hand side of the road. 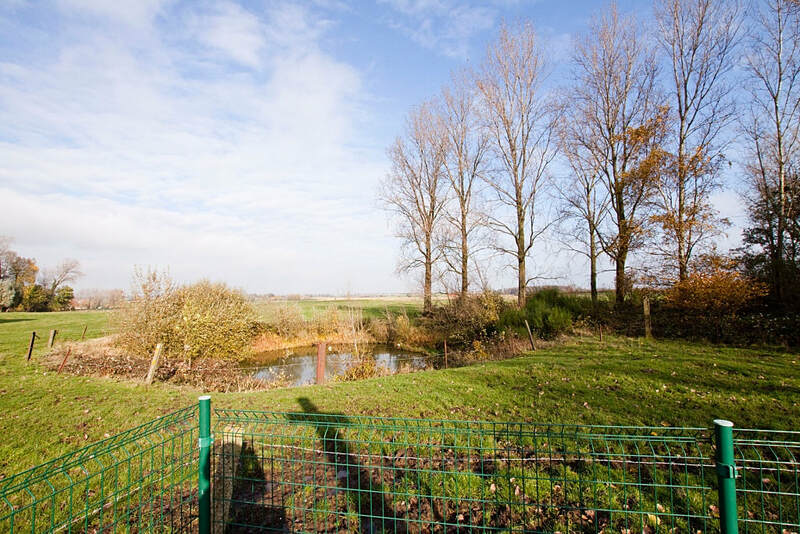 Visitors should note there is a small grassed access path to this site which is unsuitable for vehicles. A little further along the track towards Bellewaarde Farm is situated the Liverpool Scottish Memorial. 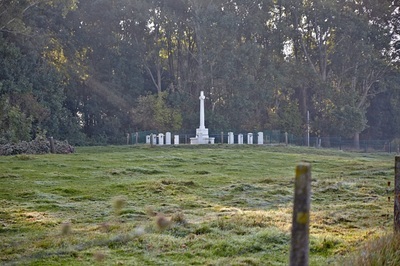 This memorial was erected in July 2000 and it is clearly visible just inside the woodland when viewing Bellewaarde Ridge from R.E. Grave. 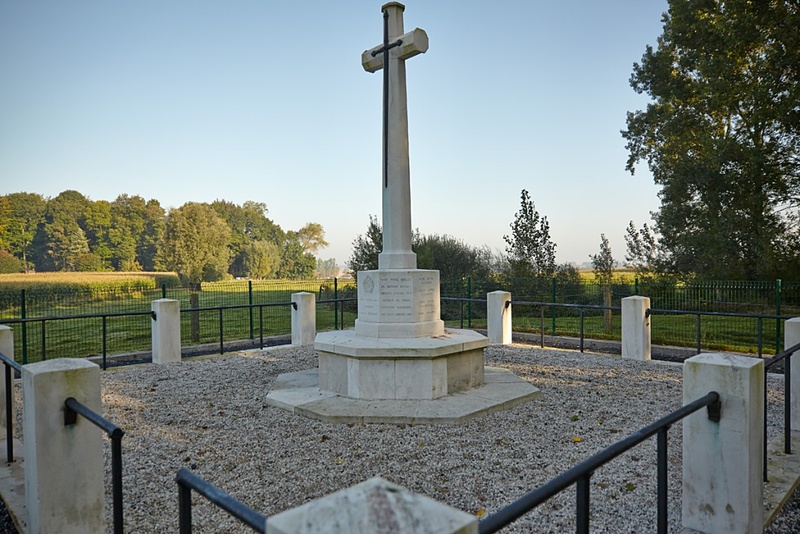 This memorial is not a Commission responsibility. The R.E. Grave marks the spot where eight Royal Engineers of the 177th Tunnelling Company and four attached infantrymen were killed in action underground during the defence of Ypres between November 1915 and August 1917. 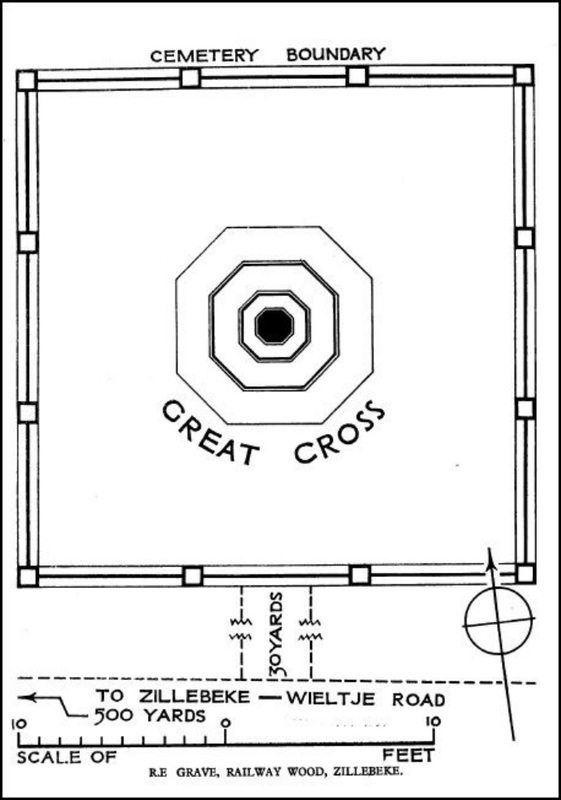 The grave takes the form of a small enclosure with a Cross of Sacrifice bearing a dedicatory inscription and the names of those buried there. It was designed by A.J.S. Hutton. 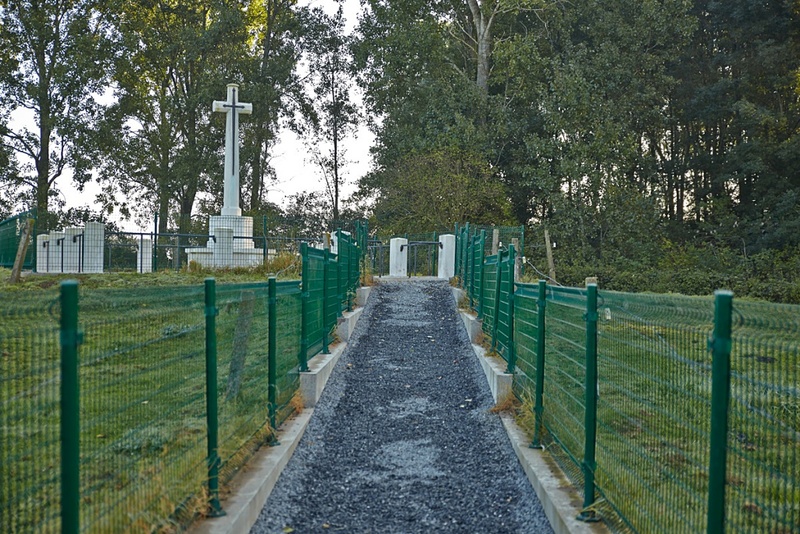 132856 Sapper Michael Carter, 177th Tunnelling Company, Royal Engineers, died 13th June 1916, aged 34. 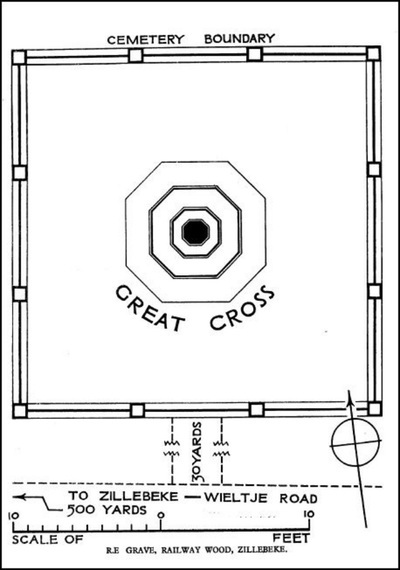 Son of James and Mary Carter, of 7 House, 15 Court, Dudley Port, Tipton, Staffs. 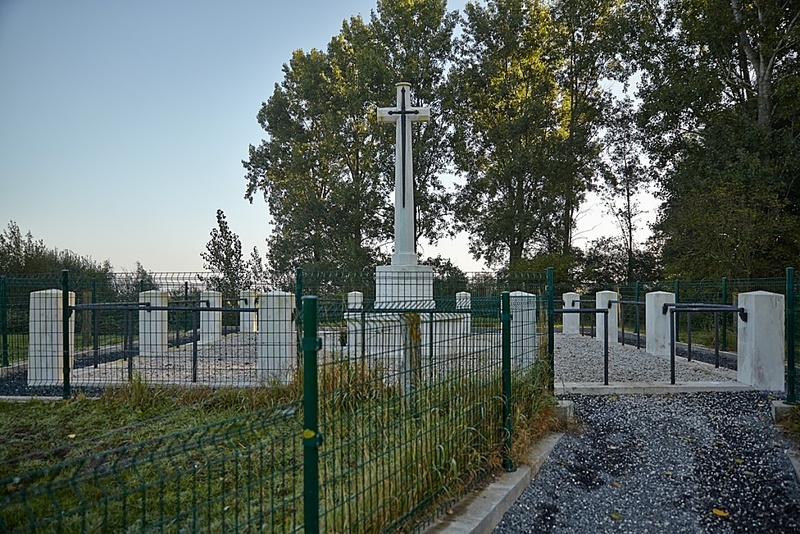 102449 Sapper George Auty Chatt, 177th Tunnelling Company, Royal Engineers, died 14th December 1915, aged 41. Son of the late Thomas and Margaret Chatt, of Barnard Castle, Co. Durham; husband of Annie Chatt, of 22, Hope St., Crook, Co. Durham. 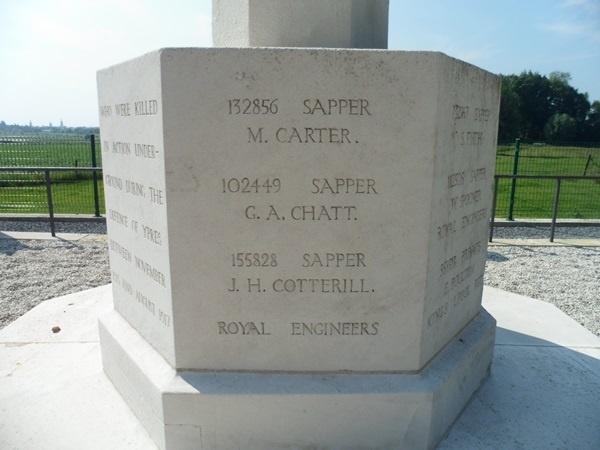 155828 Sapper John Henry Cotterill, 177th Tunnelling Company, Royal Engineers, died 22nd July 1917, aged 37. Son of Joseph and Mary Cotterill, of Chesterfield, Derbyshire. 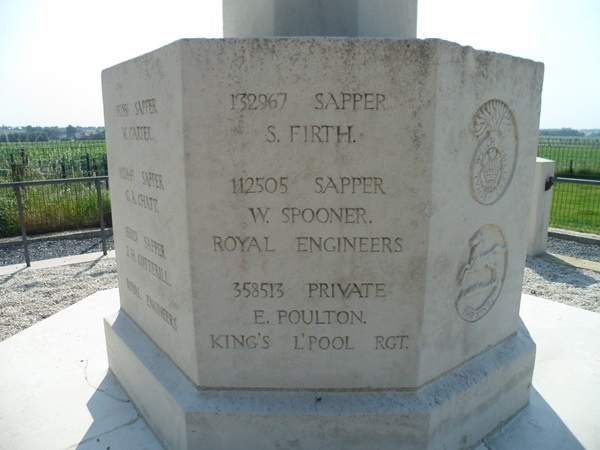 132967 Sapper Sidney Firth, 177th Tunnelling Company, Royal Engineers, died 9th March 1917, aged 24. Son of the late Charles and Emma Firth, of Morley; husband of Emma Rebecca Taylor (formerly Firth), of 37, Peel St., Morley, Leeds. 112505 Sapper William Spooner, 177th Tunnelling Company, Royal Engineers, died 28th April 1916, aged 46. Son of Benjamin and Sarah Spooner, of Chadsmoor, Cannock; husband of Jane Spooner, of 12, Newhall St., Cannock, Staffs. 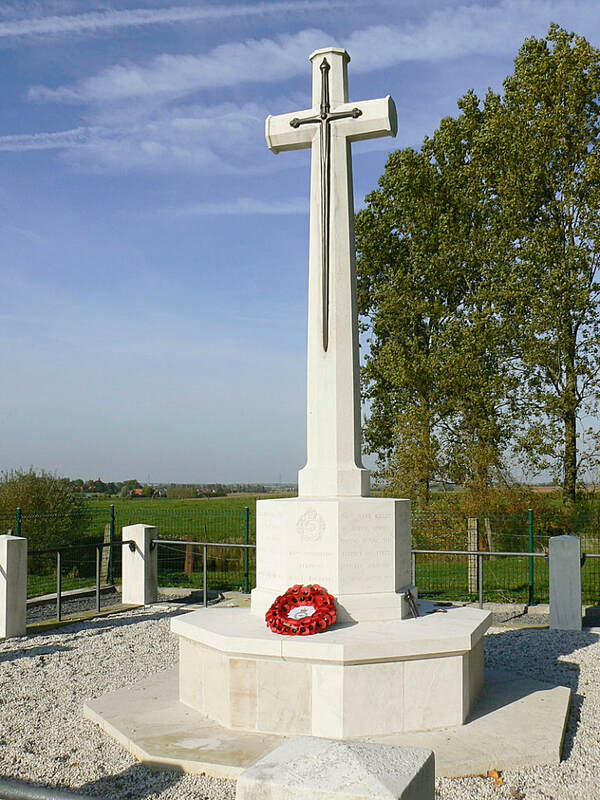 358513 Private Edward Poulton, 10th Bn. 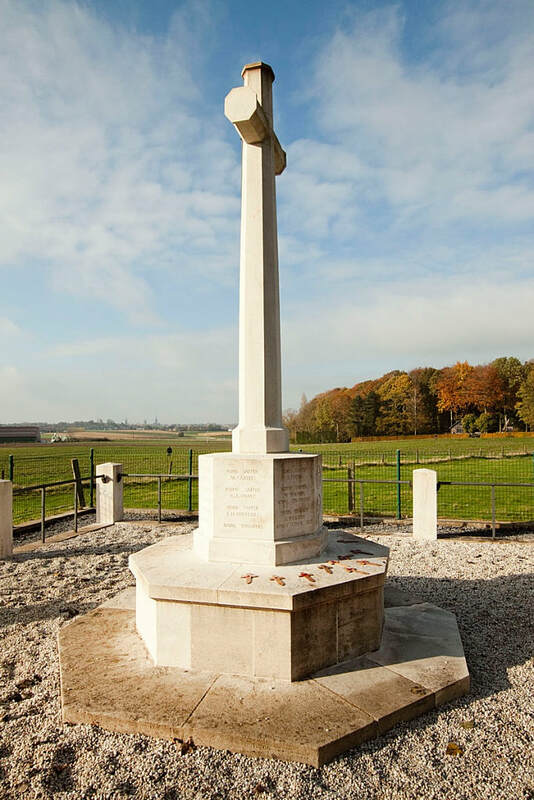 The King's (Liverpool Regiment), attached to 177th Tunnelling Company, Royal Engineers, died 25th April 1917, aged 31. Son of George and Elizabeth Poulton, of Ardwick, Manchester; husband of Mary Elizabeth Poulton, of 23, Stockport Rd., Ardwick, Manchester. 18795 Corporal Daniel Brookes Evans, 16th Bn. Royal Welsh Fusiliers, 177th Tunnelling Company, Royal Engineers, died 9th April 1917, aged 22. Son of David William Evans, of 3, Gladys St., Caeracca, Dowlais; husband of Elizabeth Thomas (Formerly Evans), of 50B, Elizabeth St., Dowlais, Glam. 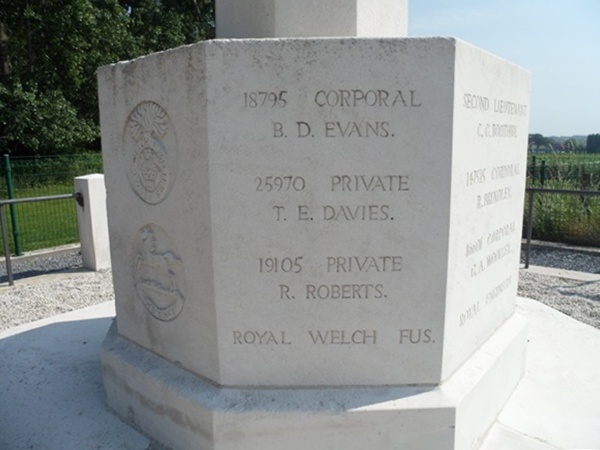 25970 Private Thomas Edward Davies, 17th Bn. 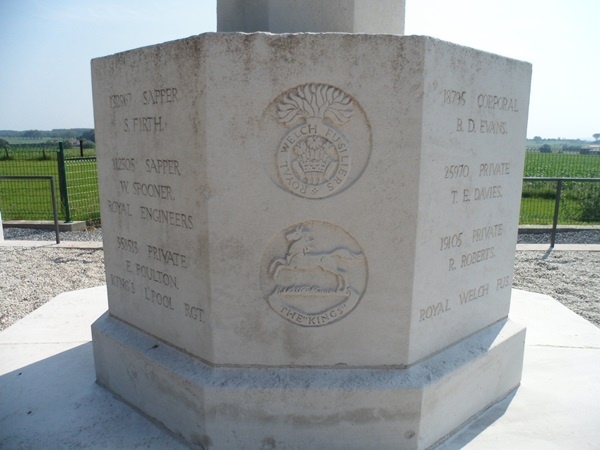 Royal Welsh Fusiliers, 177th Tunnelling Company, Royal Engineers, died 25th February 1917, aged 20. Son of John and Mary Ellen Davies, of Canaster Cottage, Overton, Ellesmere. 19105 Private Richard Roberts, 16th Bn. Royal Welsh Fusiliers, 177th Tunnelling Company, Royal Engineers, died 9th April 1917, aged 39. Son of John Roberts, of Bontnewydd, Carnarvon; husband of Elizabeth Roberts, of 23, Llwybrmain, Douglas Hill, Bethesda, Bangor. 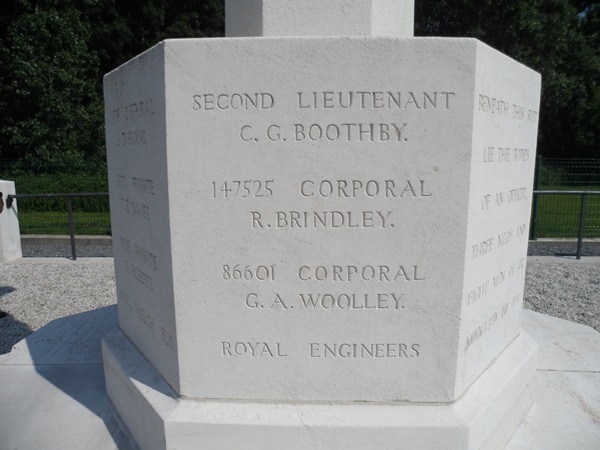 Second Lieutenant Charles Geoffrey Boothby, 177th Tunnelling Company, Royal Engineers, died 28th April 1916. 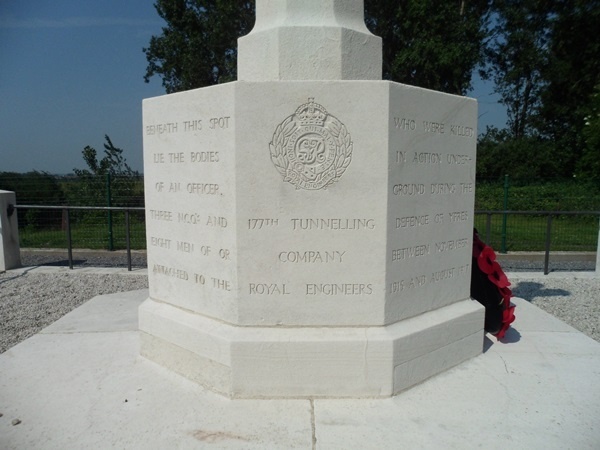 147525 Corporal Roland Brindley, 177th Tunnelling Company, Royal Engineers, died 28th April 1916. 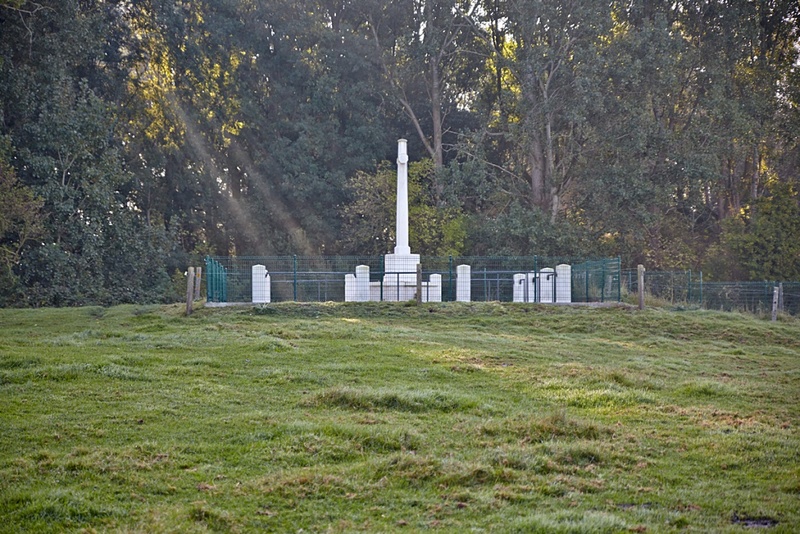 86601 Corporal George Arthur Woolley, 177th Tunnelling Company, Royal Engineers, died 22nd July 1917, aged 42. 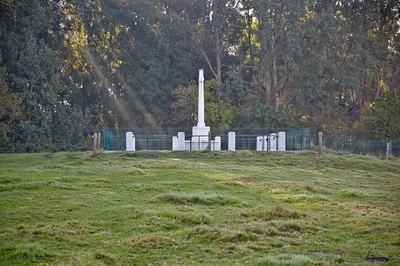 Son of the late John and Dorothy Woolley, of Codnor, Derbyshire; husband of Martha Hemstock Woolley, of Church Lane, Bagthorpe, Jacksdale, Notts.